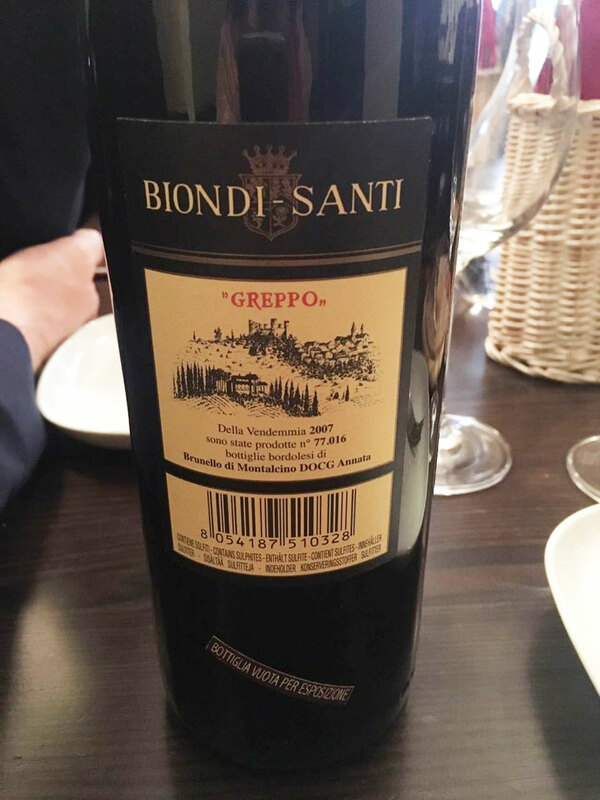 Even though I’ve lived in Italy for almost 4 years and tasted wine, uh-shall-we-say, recreationally, there are many Italian wines that never make it out of their village, and onto my table. 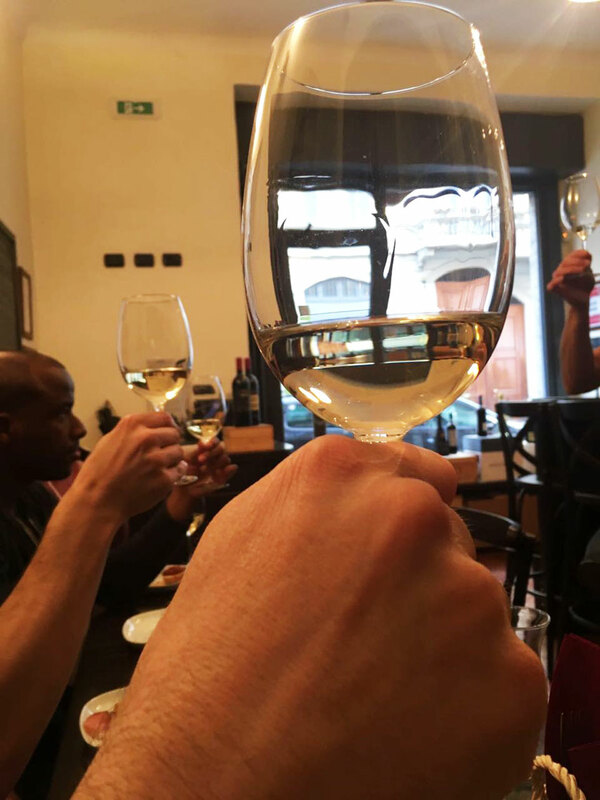 Thankfully, my partner Dirk decided to fix this problem, so we found ourselves at the famous Vinosfera wine bistro in Milano for a proper Italian wine tasting. 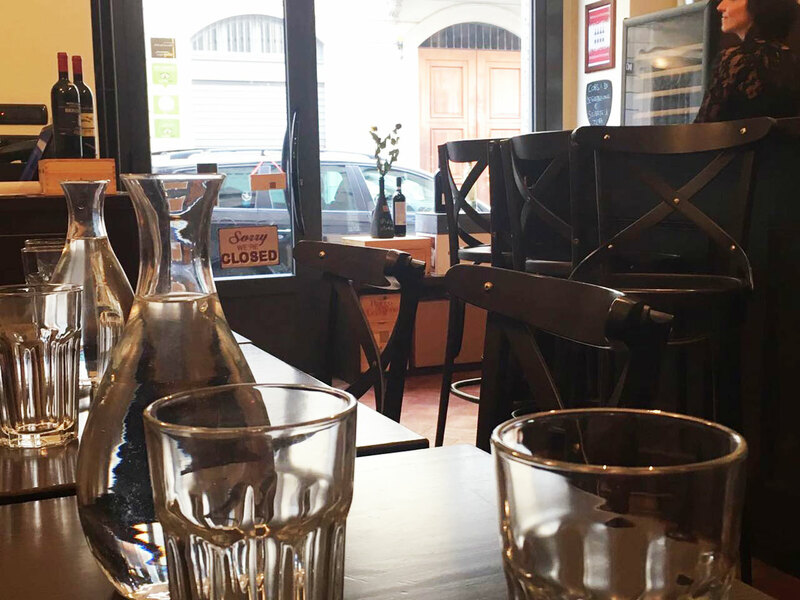 We were greeted by the owners and 3 very excited Americans who were ready to drink (and possibly assumed Italian wine servings were similar to American ones). 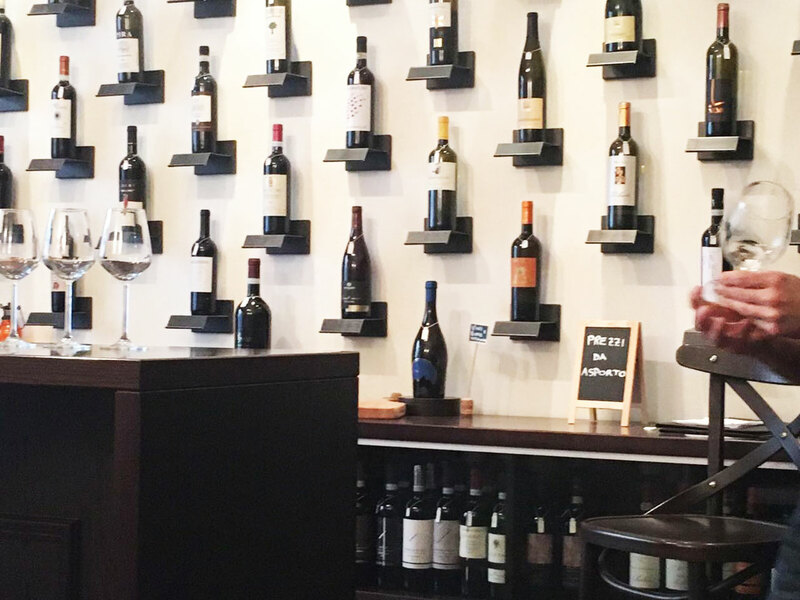 Vinosfera roughly translates to ‘the atmosphere of the wine’, and the owners explained that they meant it both literally and metaphorically. 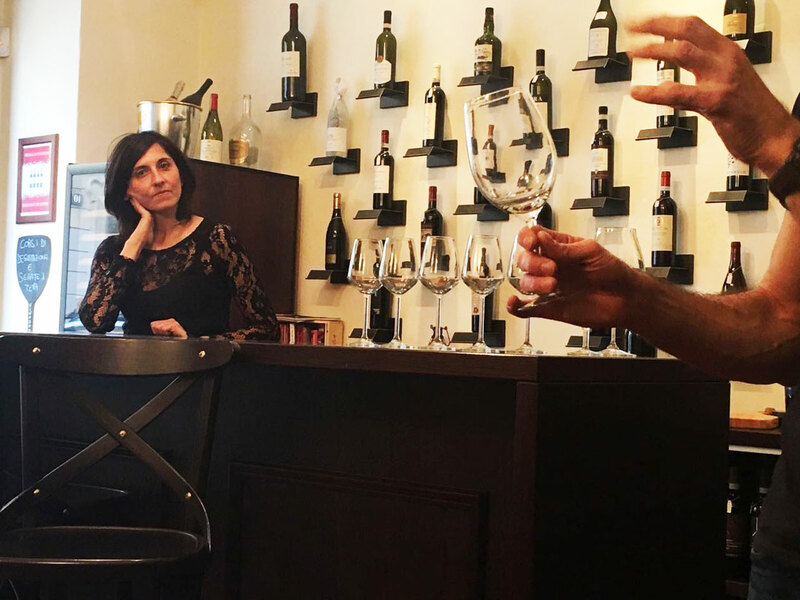 We started with an introduction to the tasting, what wine is all about (colour, structure, and clarity), and some general instructions on drinking (ha!) the 4 wines of the day. Which came, like everything in Italy, with food. 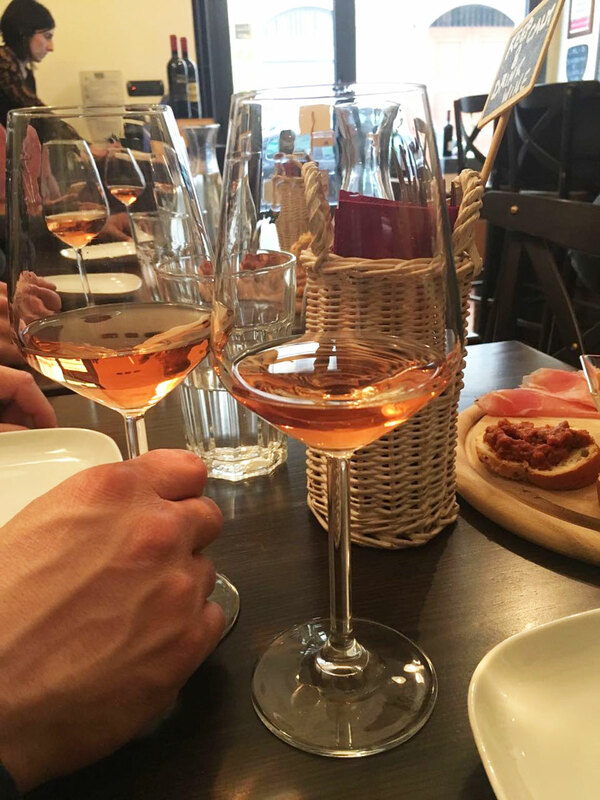 The first wine we tasted was a bubbly rosé. Unlike the stereotypical bubbly, however, it lost its bubbles almost instantly (later we learned this was an outcome of using a regular wine glass rather than a flute). 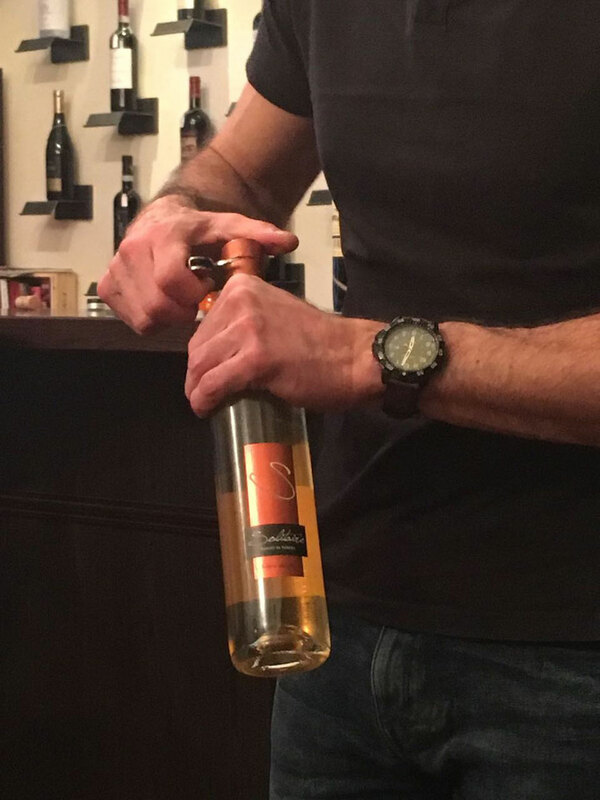 It was a clear, almost orange vino made in the Franciacorta (Italy’s version of Champagne) style – and very tasty. Next, we moved onto a Sicilian white called Inzolia. Generally, I am not a huge fan of whites, but this was light and refreshing and perfect for the day. We drank it slowly and snacked on some tomato bruschetta while simultaneously planning a trip to Sicily. 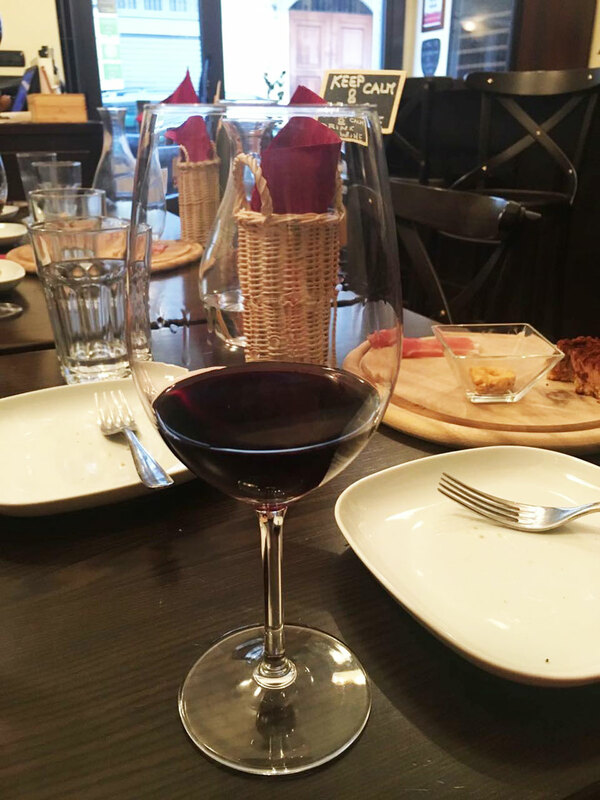 The third wine was a Brunello di Monatalchino – a heavy red from Tuscany. 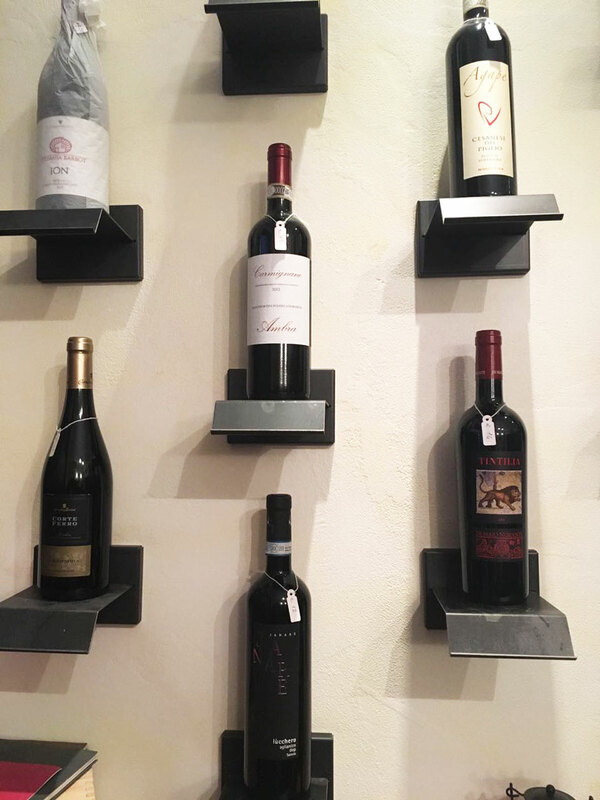 This is probably what brought our American co-tasters to Vinosfera, and it lived up to its reputation (surprisingly, the Americans had not heard about Amarone – a revelation that caused our host to do an enthusiastic detour extolling the virtue of these wines). 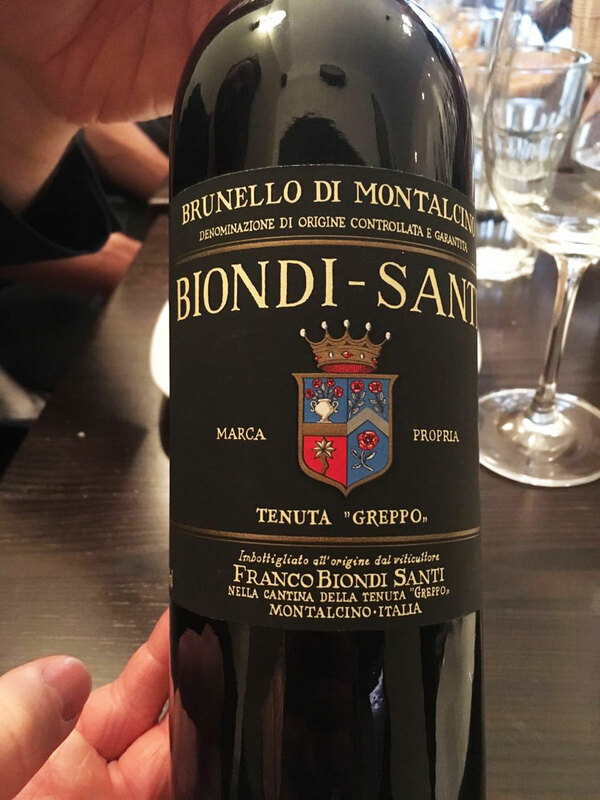 We drank the red while learning what all the different parts of the label meant and marveling at the variation in the colours and density of the different layers of the Brunello. I would have gladly taken a second glass of the Brunello, but we finished instead with a Passito dessert wine. It was also surprisingly well-balanced i.e. not overly sweet; thicker and heavier than the first white, but a perfect match for the tiramisu that was awaiting us. 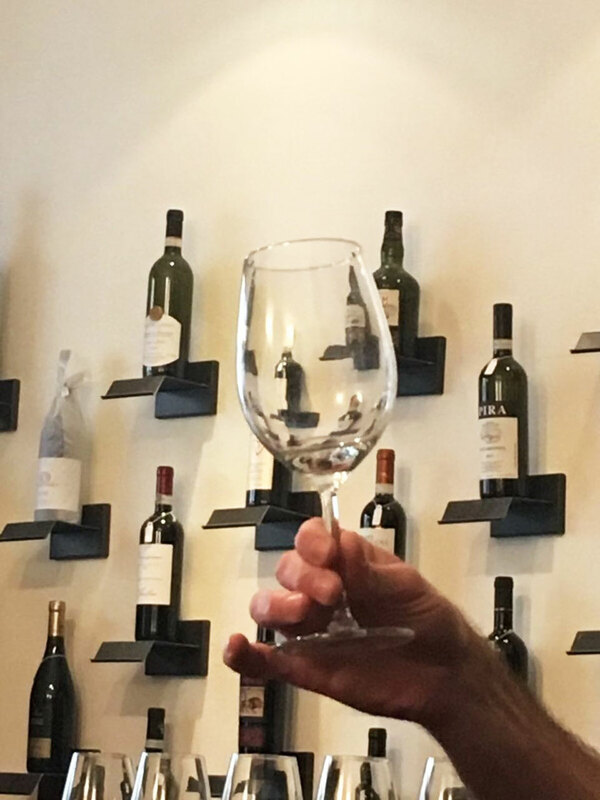 Wine glasses of different shapes are mostly unnecessary – except for red wines that need a lot of air. 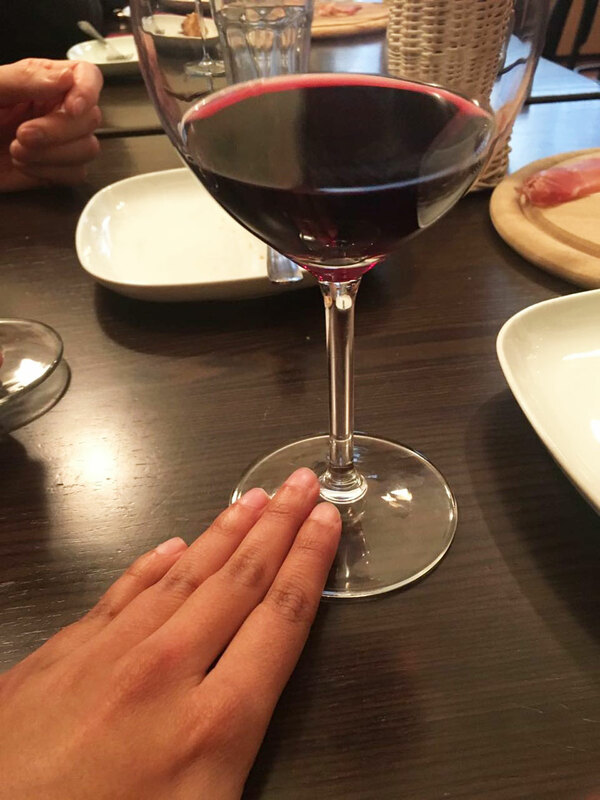 Wines should always be clear – too much sediment or floaty stuff is not good. Consistency from year to year is not necessarily a sign of quality (conditions vary widely), but rather of careful taste management. 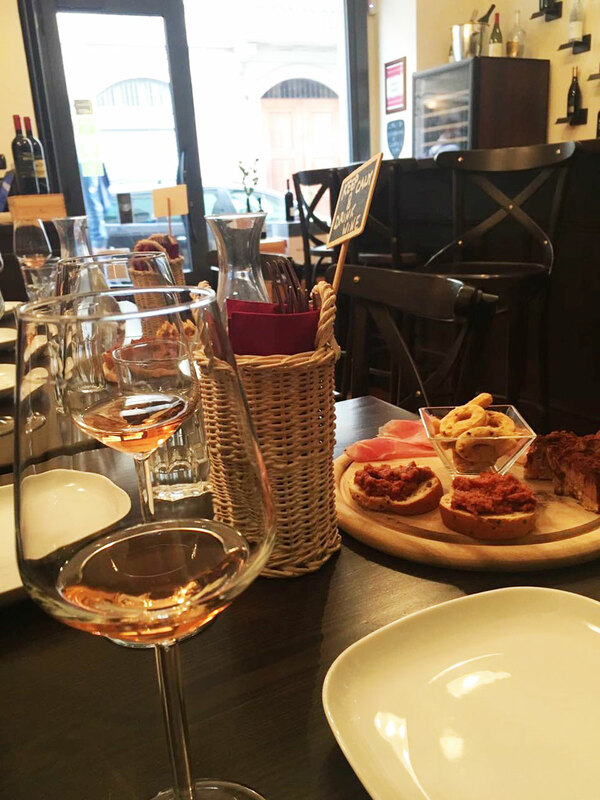 Tastings are extra fun with snacks, including super-amazing San Daniele prosciutto and tiramisu. 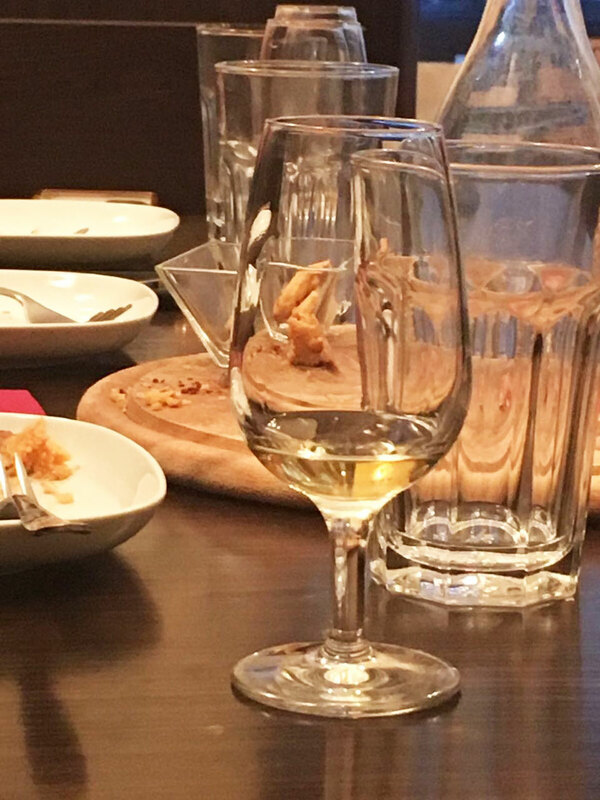 Dessert wines should be sweeter than the dessert they come with, or they will taste harsh in comparison. 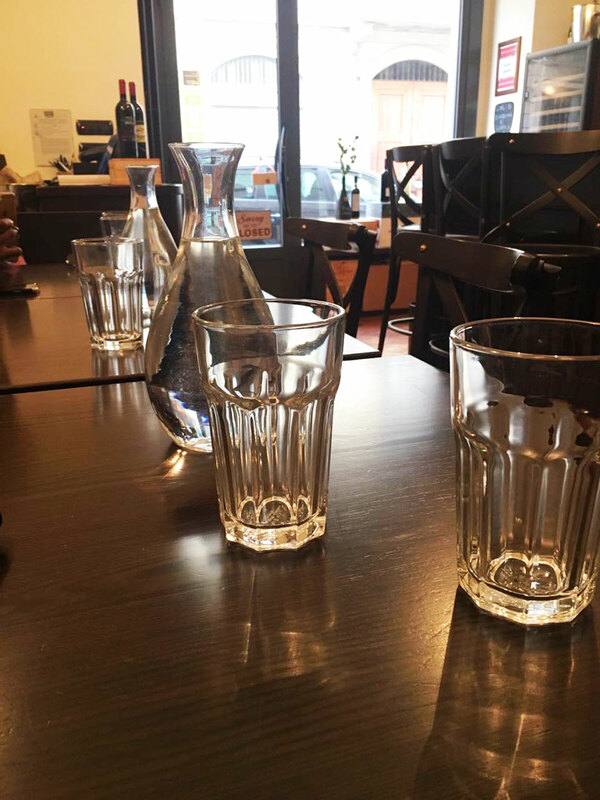 We were so impressed with the host’s knowledge that we stayed on to chat about recommendations for our dinner, and bought two additional bottles of wine to head home and practice. 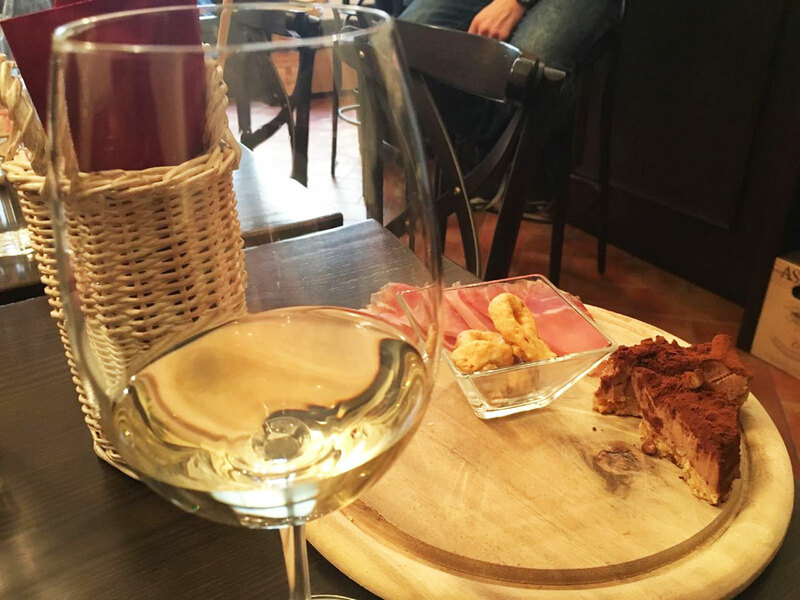 Vinosfera, Via Luigi Cagnola, 7, Sempione, Milano 20154. Call them at +390287074004.